petición: Cast Meryl Streep as Princess Leia in Star Wars Episode IX! Cast Meryl Streep as Princess Leia in Star Wars Episode IX! We, the undersigned, petition to have Meryl Streep as Princess Leia in STAR WARS Episode IX. Carrie Fisher, who is well known as Princess Leia in STAR WARS, passed away on 27th December 2016. Her performance in STAR WARS: THE LAST JEDI, which is going to be released by Lucasfilm and Walt Disney Studios this week, became her last performance as this iconic and inspiring character. Princess Leia has been a iconic character in STAR WARS and the history of Cinema, as she has told many of us that women can be strong, determined and more than the slaves of Jabba the Hutt. In the real life, the colorful life, wits and humor of Carrie Fisher also made her special. "To me, she's royalty." Lor San Tekka, portrayed by Max von Sydow, regarded Princess Leia as a royalty in STAR WARS: THE FORCE AWAKENS. In the real life, many of us also see Carrie Fisher as a royalty in Hollywood. 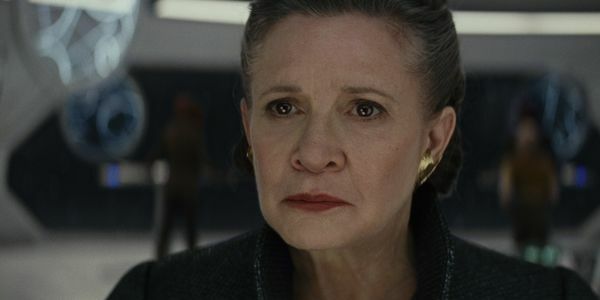 Therefore, we were really excited to see her playing Leia again in STAR WARS: THE FORCE AWAKENS and STAR WARS: THE LAST JEDI and our hearts have been broken when we heard the news of her death. After the death of Carrie Fisher, there have been a lot of uncertainties in how STAR WARS Episode IX is going to deal with Leia. As Lucasfilm claimed that they have no plans to digitally recreate Carrie Fisher with CGI in STAR WARS Episode IX, the more possible solutions are to recast Leia or to write her out of the film. In an interview with USA Today, Mark Hamill, who played Luke Skywalker and the brother of Princess Leia in STAR WARS, claimed that "Leia was meant to be more prominent in (episode) 9." As the fans of STAR WARS and Carrie Fisher, we really want Leia to shine in Episode IX and we certainly do not want her to be written out of the film abruptly without a reasonable plot. Therefore, recasting Leia is a more ideal option for us and we believe that Meryl Streep is an ideal candidate to play Leia. Meryl Streep has always been known as the greatest actress alive. With three Oscars wins and twenty nominations (probably twenty-one by next years), her achievement in acting has long been recognized. Apart from her acclaimed acting performances, her close relationship with Carrie Fisher and her performance in POSTCARDS FROM THE EDGE also made her an ideal candidate to play Leia in STAR WARS Episode IX. In POSTCARDS FROM THE EDGE, written by Carrie Fisher and based on her semi-autobiographical novel, Meryl Streep played Suzanne Vale, who is believed to be based on Carrie Fisher herself. Therefore, Meryl Streep's performance in the film can be seen as her portrayal as Carrie Fisher. Apart from gaining a nomination for Academy Award for Best Actress, this film also resulted in a close friendship between Meryl Streep and Carrie Fisher. Since Meryl Streep has (sort of) played Carrie Fisher once before and they had been good friends to each other, we believe that Meryl Streep would be an ideal candidate to play Leia in STAR WARS Episode IX. As a close friend of Carrie Fisher, Meryl Streep may have huge ton of pressure to played Leia. However, we strongly believed that she is the best hope for us to see the legacy of Carrie Fisher in Episode IX. May the force be with Carrie Fisher, Meryl Streep and Princess Leia. Puede administrar sus suscripciones por correo electrónico en cualquier momento. ¿Tienes dificultades para firmarla?? Infórmanos. Nuestra promesa: Bienvenido/a a Care2, la comunidad más grande del mundo por las buenas causas. Aquí, encontrarás 45 millones de personas con ideas afines, que trabajan por el progreso y la generosidad, y para generar un impacto duradero. Care2 se declara en contra de: los fanáticos, los acosadores, los negadores de la ciencia, los misóginos, los grupos de presión a favor de las armas, los xenófobos, los que cierran los ojos ante la realidad de manera deliberada, los maltratadores de animales, los frackers, y todas las personas con malas intenciones. Si te sientes identificado con alguna de estos tipos, te rogamos que nos ignores. Este no es tu sitio. Care2 apoya a: los altruistas, los amantes de los animales, los feministas, los agitadores, los amantes de la naturaleza, los creativos, los curiosos por naturaleza, y las personas que de verdad aman hacer lo correcto. Tú eres nuestra gente. Tú te preocupas. Nosotros nos preocupamos. Somos Care2.